Please enter your phone number (USA only) in case we need to call you to get further information. If you are a Fast Track Member and have a question about a particular test, the testing process, or are concerned that the test your child is taking does not appear on our list, please fill out this form and we’ll get back to you as soon as possible! For billing, technical, or other issues, please select a different subject. Before you email us, please review the information below and if it does not answer your question, send us an email and we’ll get back to you as soon as possible! How do I cancel if I want to stop my membership? let us know the reason why you’ve decided to cancel your membership. There is no need to email us to cancel once you go through this process. When do I need to cancel my account? Follow the prompts on this page to cancel your account. There is no need to email us to cancel once you go through this process. How many questions do you have for (test) and (grade level)? For a complete list of practice tests and grade levels we cover, simply click here! What are the differences between the Top 1% Fast Track, Ace the Test and Super V.I.P. membership packages? To see the differences between each package in detail, take a look at this chart, which shows the number of practice questions per test and per grade level for each membership package, along with the options that are included with each package. At the Super V.I.P. (Very Involved Parent) level, you get everything listed under the “Ace the Test” plan plus access to Karen’s private email address for one-on-one support. At the “Ace the Test” level you get everything listed under the Top 1% Fast Track Plan, plus you’ll be invited to participate in small, monthly group “Ace the Test” calls with Karen Quinn, The Testing Mom. All 3 packages (including Top 1% Fast Track) include full, instant access to all our practice questions, online games and Skill Building Academy partner programs, webinars, and a 20% discount on all Aristotle Circle products. Note: Yearly members also get a $100 discount on our IQ Fun Pack game; however, discount does not apply to monthly or quarterly memberships. The Fast Track Membership covers every child in your family. How far in advance should I start doing practice questions with my child? Ideally between 6 months and a year. By doing practice questions with their children, many parents discover that their child has a weakness in a particular area. Some kids struggle with math questions, others with visual-spatial questions. Some children don’t listen to the question and ask for it to be repeated (and testers are usually not allowed to repeat questions). By starting well in advance, you have plenty of time to work with your child on any underlying issue that is giving him trouble. We can give you ideas on just what to do, depending on where your child is having a hard time. On the other hand, even if you have just two weeks before your child is being tested, you can still prepare. In that case, all you want to do is to give your child an idea of the kinds of questions that will be asked so she’ll know what is expected of her when she’s tested. Work with your child up to an hour a day, but no more. I just found out my child is being tested next week and I only have a few days to prepare. Is it worth it to join? It is always helpful for a child to have practiced the type of questions she will see when she is tested. We recommend that you sign up at TestingMom.com for one month and practice with your child the type of question she will be given when tested. Once the test is over, continue to build your child’s skills with our Skill Building Academy enrichment toolkit and using the proven techniques found in the TestingMom.com S.C.O.R.E. System™. Where are the 100 free questions? Please note that you need to use a valid email address to receive the 100 free practice questions; however, the birth year fields are optional. Can I print the 100 free questions? Our 100 free questions are available so that you have an idea what our service entails, and to show you the quality of our questions. While the 100 free questions are not available to be printed, don’t worry – ALL of the practice questions in our paid membership plans can be printed out! Online games are not working! If the games are not working, PLEASE make sure that you have the most up-to-date version of your internet browser installed. If you are using Internet Explorer and encountering issues, please try using Google Chrome or Mozilla Firefox. My password is not working! If the password is long or hard to remember, copy and paste it into the password prompt box rather than typing it out by hand. I can’t see any practice questions! Yes, we actually answer our phone and someone from our Parent Success Team would love to talk to you! If you call us during the hours listed below and we don't answer that means we're helping other awesome parents (like you!). If that's the case, please leave us a voice mail and we'll return your call as soon as possible. How is a TestingMom.com membership different than using workbooks? Workbooks are great, but they are just one tool in your test-prep arsenal. With a TestingMom.com membership, you get questions at your child’s level, plus easier and harder levels, you get both printable and interactive questions, you get games to build underlying skills, and you get everything immediately so you can start now. 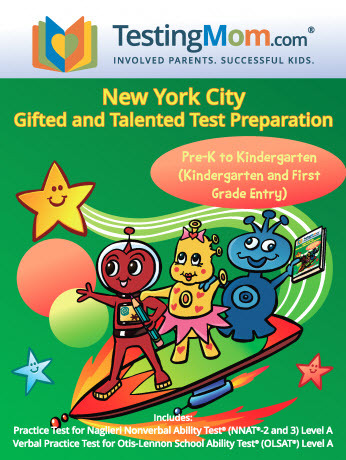 We do offer some great workbooks through TestingMom.com and we're in the process of expanding our selection! What does your site offer that I can’t get for free elsewhere online? • More Questions. 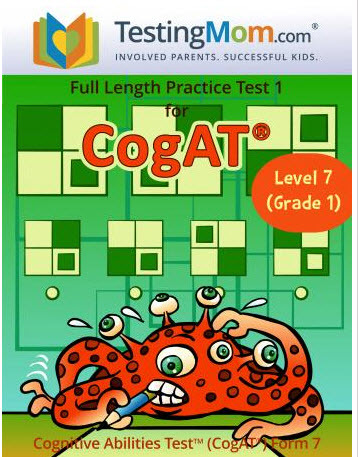 Over 100,000 practice questions for the most-given including cognitive, group intelligence and state achievement tests. • Comprehensive Coverage. Questions are modeled after the different types of questions on tests and we give you comprehensive coverage of all skills assessed. • Unique Games. We offer a variety of fun, interactive games that you won’t find anywhere else online that are designed to help your child learn the underlying skills needed for success. • Valuable Premium Education Programs. Our premium skill-building programs are designed to keep your child learning long after the test is over. These partner programs from some of the biggest names in education (like Scholastic, World Book, Britannica and more!) cover subjects including reading, math, English language arts, science, social studies, introductory coding, financial literacy, chess, foreign languages, and more. Purchasing individual memberships to these programs would cost you well over $500 per year, but our Skill Building Academy features access to 40+ programs included with your membership. • Online Expert Advice. We provide guidance from our Parent Success Team on how to use our materials to give your child the best possible chance to achieve the outcome you desire. • A Test Prep System. You have access to a 5-step system – the S.C.O.R.E.™ System – that you can follow to give your child the best possible chance to earn a top score. 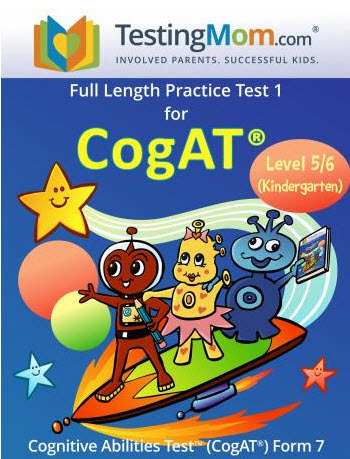 Can you guarantee that my child will pass the test if we use your programs practice materials? Since every testing situation is different, we cannot guarantee that using our practice materials will produce the desired test results for your child. We offer materials that parents can use to help a child prepare for specific tests or assessments; however, you, the parent, are responsible for practicing with your child in ways that will maximize your child’s chances of success. Since 2010, students with yearly memberships who followed our 5-step TestingMom.com S.C.O.R.E. System™ saw the highest overall test score improvements. In our program, you will have access to training for the S.C.O.R.E System, which you can follow to help your child perform at his or her best. Are your practice questions actual questions from old tests? No. Questions on many tests do not change from year to year. You would never want to expose your child to questions from an actual test that your child may take in the future. Besides, those questions are protected by copyrights so we would never use them. We do offer questions that are modeled after the types of questions that are on different tests, but these are all original questions designed to give your child familiarity with what to expect on test day. For best results, how long should I practice with my child each day? For younger children, you should start by practicing about 10 minutes a day and gradually build up to 30 minutes. When your child is closer to the testing date, you want to be sure he or she can focus on doing practice test questions (or another educational activity) for up to an hour without stopping, because that’s the typical length of most tests. For older children (students in third grade and above), you can do practice questions together for up to half an hour each day. Mixing up the tools you use with your child will help them practice for longer periods. So we recommend using a combination of printed questions, interactive questions, online and offline games to keep your child most engaged.